Executing the perfect wedding is all in the planning, details, and logistics. While a wedding planner can take on the execution of any event and help you successfully manage your biggest day within budget, a fashion designer will help you choose the perfect wedding ensembles. So if you’re getting married this year, you’re in luck as we’ve gathered the latest of everything into one amazing planner. When it comes to planning a dream wedding, there’s hardly enough that can be said about hiring a reliable wedding planner, stylist or decorator. Think: creatively calligraphed wedding invitations, traditional flowers for arrangements, and beautifully styled centrepieces engineered down to the last glass of champagne. While Pinterest boards may have eased this process, ask any couple and they will tell you how every detail takes months of meticulous planning. And that’s saying nothing of the patience and precision required to pull off each element. Planning a dream bash is a herculean task, and a couple would be wise to hand off the heavy lifting to the second-most important person: the wedding planner. They’re the ones who design the wedding, negotiate expensive contracts with vendors, coordinate the event, and basically ensure that everything goes smoothly on the day – no crashers, of course! 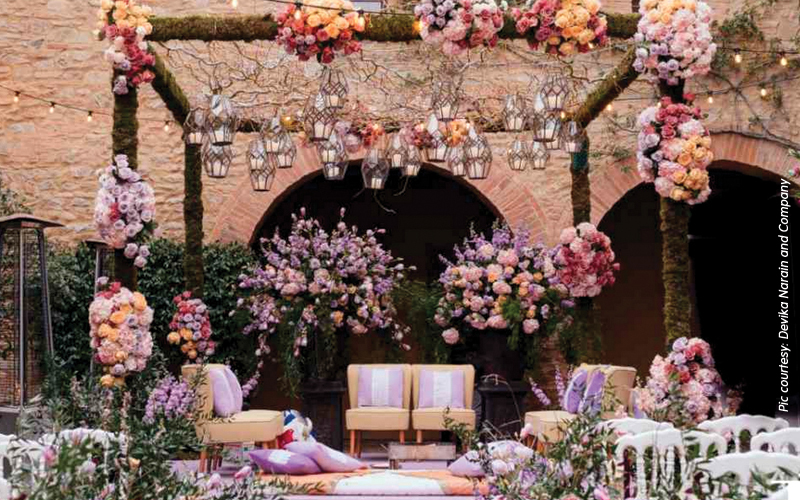 Without further ado, here are four wedding planners and decorators who are known for their opulent themes, attention to detail, and absolute passion for perfection! Merging her passion for weddings with an eye for innovative, yet elegant design, Devika Narain and her team will go further than just designing your wedding. Offering a bespoke wedding and event planning service, Devika brings her incredible eye for detail and effortless elegance to all of her events. She designed the weddings of cricketers Robin Uthappa and Dinesh Kartik. 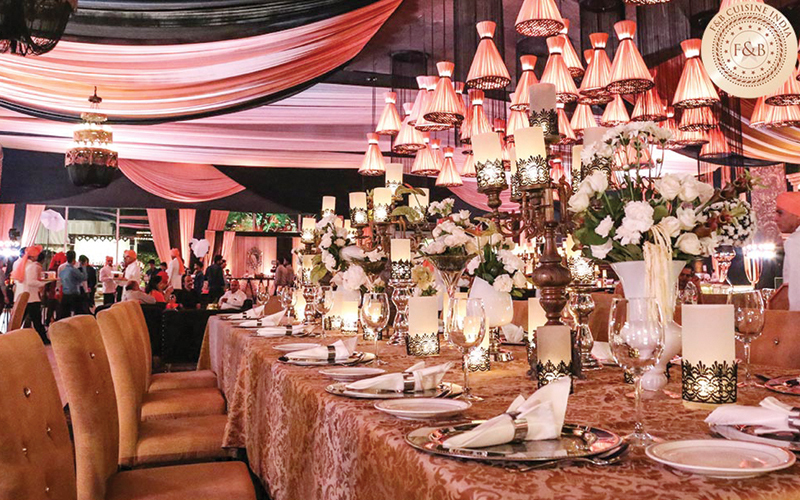 Transforming a day of love into a work of art is what Geeta Samuel of Q Events Private Limited has been doing for years, and that’s the trend that she maintains in every event she organises. Praised for her incredible personal service, Geeta is simply brilliant at blending family traditions and unique style with her timeless, sophisticated designs. There is something theatrical about how the brilliant team at Shaadi Squad design their events – lush floral arrangements, pastel colours, dramatic lighting. Case in point? They are the ones responsible for pulling off the gorgeous nuptials of Virat Kohli and Anushka Sharma in Tuscany, Italy last year. 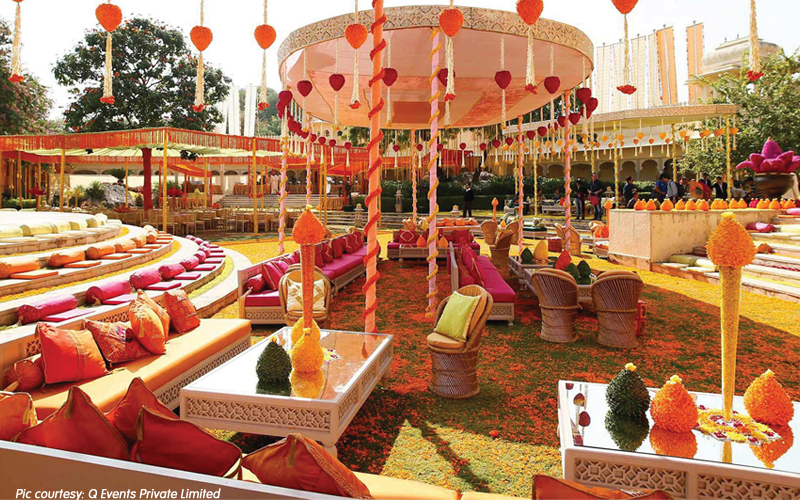 Using their expertise in executing magnificent events, Shaadi Squad will make you feel in control and comfortable as you watch them metamorphose your vision into a fairy tale reality. 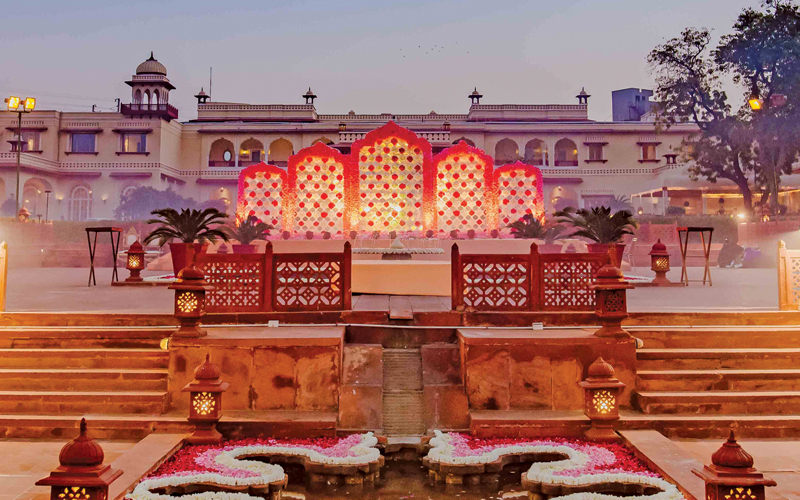 For over 30 years, Vandana Mohan of The Wedding Design Company has successfully designed and coordinated outstanding weddings around the globe with the utmost passion and attention to detail. Whether you want an elephant for your big day or a temple wedding on a remote island, WDC will make it happen without a hitch. Her past clients include Prince Shivraj Singh and Gayatri Kumari, the princess of Askot, Sonam Vaswani and Navin Fabiani, Priya Sachdeva and Vikram Chatwal, and Anushree Jasani and Parth Jindal. Feeling indecisive about those important decisions? Mediterranean or Indian, three or five courses, cocktails and canapés or champagne reception? Ah, the task of finding a wedding caterer. It’s no easy feat. Therefore, we got these luxury caterers to have on your radar and help ease those tough culinary decisions. Ranging from breathtakingly expensive to relatively affordable, these chefs are innovative when it comes to blowout experiences that’ll have your guests talking about your party for years. 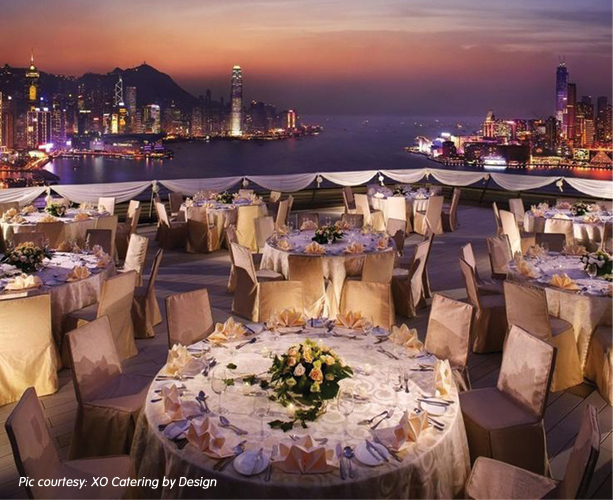 Well-regarded among food connoisseurs, Arjun Puri of XO Catering by Design – anchored by the talents of chef Shivam Tandon – devises mouth-watering creations from India, Japan, Italy, and the Middle East. The team works hand-in-hand with couples to deliver exceptional food along with sparkling drinks, all presented in artful service. They have catered to Mira Rajput and Shahid Kapoor’s mehendi and cocktail brunch, and Nikhil Nanda and Shweta Bachchan’s wedding reception in Delhi. Prices upon request. Vahishta Zandbaf was trained at Le Cordon Bleu in London, and clearly, it paid off. Her avant-garde technique to create artful cakes and her sense of inventive experimentation on classic French pastries are remarkable. 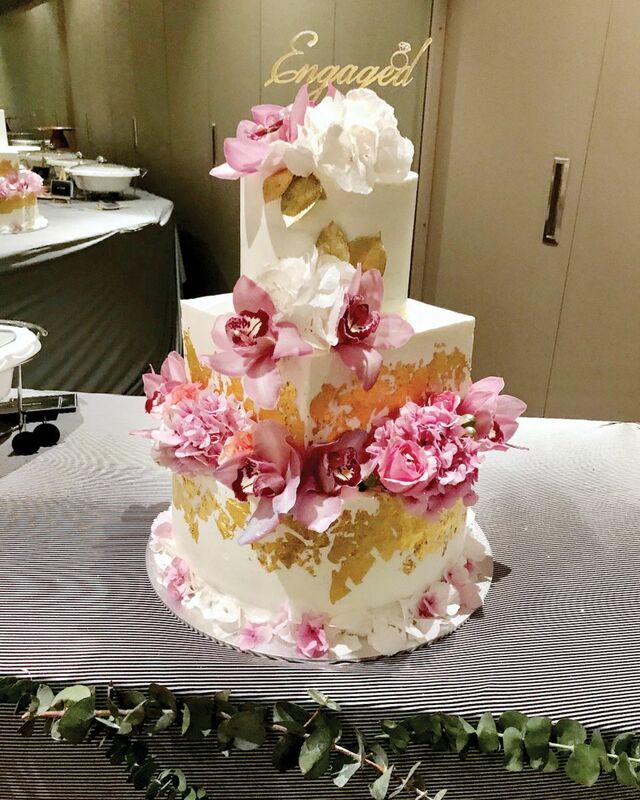 The cake designer and pastry chef’s designs involve anything from a pretty, precious, and heavy on flowers cake, to traditional tiers with gold leaf and ruffle accents (the one pictured was made for Priyanka Chopra and Nick Jonas’ engagement party in Mumbai). This 15 kg three-tier cake with 24k gold leaf, gorgeous hydrangeas, berries, and pink cymbidium orchids evoked a Lilly Pulitzer vibe. By appointment only. 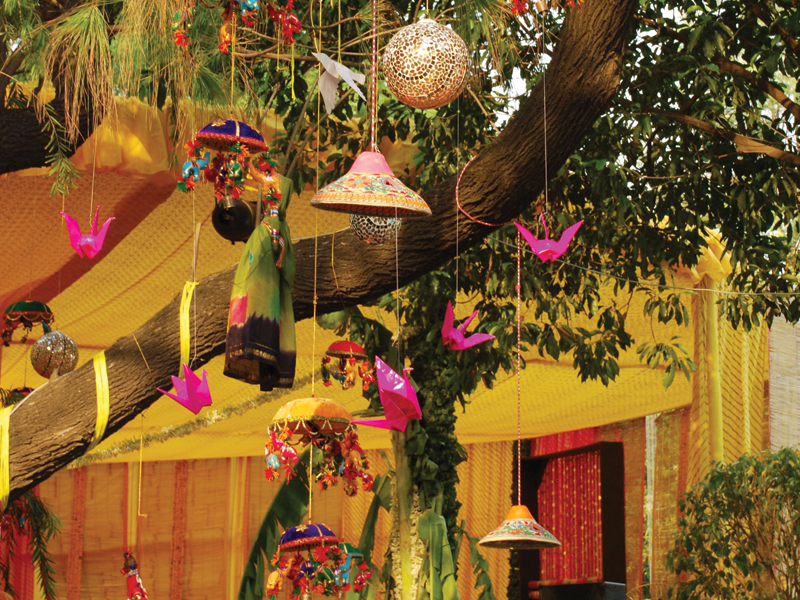 FNB BY AMIT DUA can whip up a variety of seasonal menus for small and large ceremonies alike. The brainchild of Amit Dua, this well-respected and well-established catering service focuses on making your wedding stress-free. 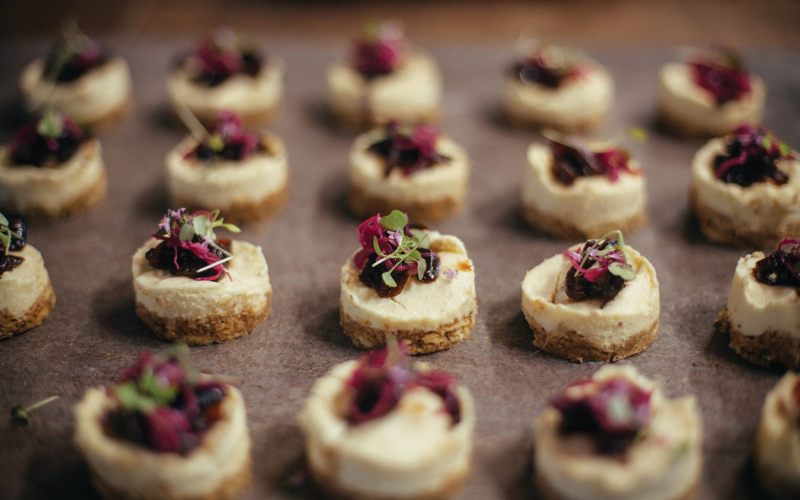 Whether the reception is a free-flowing bridal shower or a formal sit-down affair, these caterers are bound to bring creative and out-of-the-box ideas that will wow your guests on your big day. Take notes, folks!